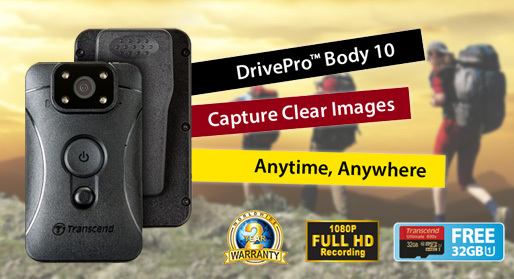 Constant recording and harsh weather conditions make finding the proper car video recorder, security camera, or surveillance microSDHC card difficult. However, Transcend High Endurance microSDHC card is ideal because it is designed to withstand long recording sessions and harsh weather conditions. The 32GB microSDHC card delivers outstanding performance in extreme climate conditions ranging from -25°C to 85°C. Its temperature versatility is complemented by the ability to stay in 1 meter of water for up to 30 minutes, which guarantees important footage gets recorded and preserved for future viewing. In addition to being water and climate resistant, Transcend High Endurance microSDHC has many other features for recording and preserving video footage. The high-end microSDHC card meets ISO7816-1 standards for airport X-ray immunity. 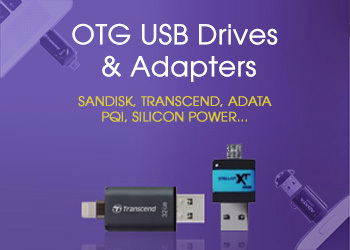 Plus, Transcend High Endurance microSDHC is both static and shock resistant. 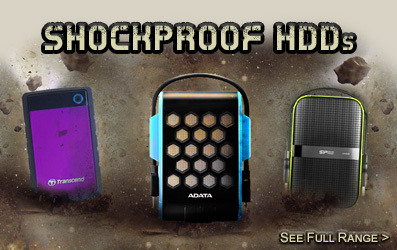 Weather protection, temperature versatility, X-ray immunity, static resistance, and anti-shock technology make the microSDHC card durable enough to withstand tough conditions. Likewise, built-in Error Correcting Code (ECC) works even harder to ensure vial information gets recorded. 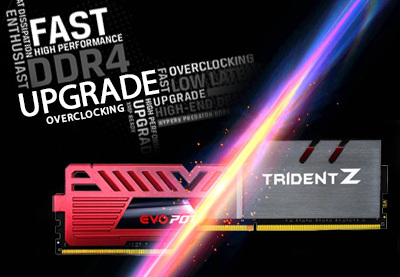 Error Correcting Code detects and corrects transfer errors, but most users will never need ECC because Transcend High Endurance microSDHC is manufactured with top-tier MLC NAND flash chips that can withstand up to 6,000 hours of HD video recording. DIMENSIONS 0.43" x 0.59" x 0.04"
Working well for intended purpose. Fast efficient order processing with good communication of delivery. Excellent service. A query I had with regards to payment was dealt with swiftly & efficiently. Item arrived in advance of the given delivery date. Would certainly use again. Price good delivery slow but within time stated. Bought this after researching SD cards for dashcams. You need MLC flash memory SD cards for this type of use. It costs a bit more, but works great in my Nextbase dashcam. Arrived quickly and perfect for my dash cam. I decided to opt for a card recommended by Dash Cam Testers and chose a 32Gb card for my Garmin 55. So far it has proved to be an excellent purchase. MemoryC despatched the card very quickly and it arrived safe and sound. A great company to deal with. It's the one SD card that is most recommended by dashcam testers and it certainly has lived up to the claims and promises. I can highly recommend this SC card. Going by other reviews posted on many sites suggesting what type of sd card to get for a dash cam, there seems little option but to go for a high performer. The 64GB Transcend High Endurance MicroSD card appears to fit the bill. Premium price but for a reason. MemoryC are a great Company to deal with. Very quick response and free delivery. Bought this card for a Blackvue DR590 dash cam. Excellent result with flawless recordings. Low read and write speeds make this a perfect option.